Ezi Set 7kg front load washer is rated 4.4 out of 5 by 20. Rated 1 out of 5 by Peter from Bad Joke With my 80 years I lived in various places and had washers made in different countries, even a small 4kg Simpson about 10 years ago, which I was happy with; but what I got here is politely expressed a joke, and a very bad one too. 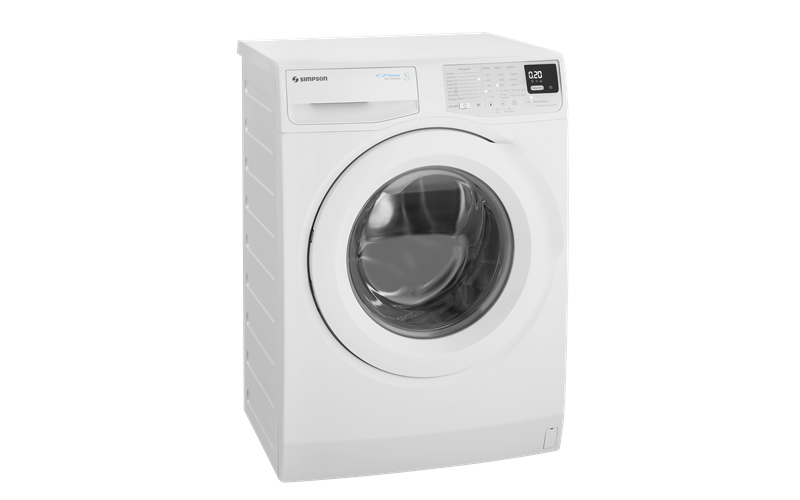 A washing machine is thought to wash with water and to rinse with movements to get rid of the detergent. Your machine is just pausing, doing 1 1/2 revs from time to time. That's not called rinsing. In addition, the longer programs just stall before spinning. So. in fact I have to work manually with 3 different programs to get about what you expect from one automatic washing cycle. Rated 5 out of 5 by Climateman from Best washing machine I've owned! When my 2005 Simpson top loader failed in November due to an electronic problem which the repairers said would cost c$200 to fix, I decided it was time to buy a new one, this time a front loader. Passing the local Harvey Norman store I decided to go in and see what they had. There it was, at a good price, so I bought it. The best thing about it is the 15 minute cycle. Really, it does all we want, for 95% of washes, saving energy and water. It is also efficient for our time management since we know the machine is on and will be finished in less than 15 minutes, so we can hang out the washing before we go out, or start another project, etc. without being interrupted later when a longer cycle stops. It is also quiet, smart and efficient. Rated 5 out of 5 by SimDelaney from Just what I wanted I needed a washing machine that was going to clean my clothes effectively and quickly without breaking the sound barrier or trying my patience with unnecessary features and beeping. Extensive research led me to believe that the Simpson SWF7025EQWA would do exactly that. It's only been a month but so far so good. I'm well pleased. Rated 5 out of 5 by alphabetagemma from Great value machine with very good results! Had the machine three months and it's working really well so far - no complaints. Efficient in terms of water and electricity usage. 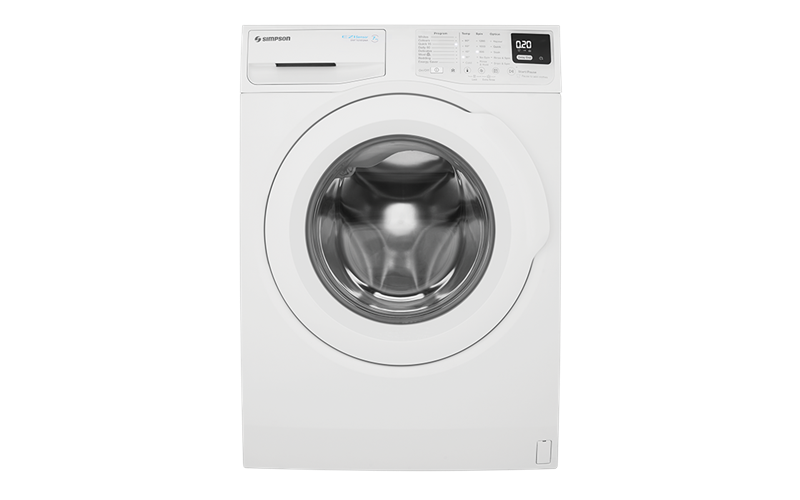 Only thing is you have to do smaller loads as if full everything comes out majorly wrinkled - even on a low (800) spin. Which was not my experience with other machines. Rated 5 out of 5 by Xanadu from So easy to use! I have had mine for just over a week and have used it several times. It is so easy to use, it's quiet and much quicker to wash than my old Simpson (although I loved that too when I bought it 16 years ago). Love the new settings too. Rated 5 out of 5 by kmk72au from Great washing machine! I had to replace my washing machine unexpectedly. This more than covers what I need, great machine, easy to use and super quiet! Highly recommended and loved that Appliances Online deliver, take the old one away and set up the new machine. A+ service! Rated 5 out of 5 by Hayley from So many features and a great price Thrilled with so many wash options and the 15 mins wash is SO handy. Chose this machine as my previous front loader had wash cycles that went on forever. Great to be able to tailor my washes and have the confidence of such a good brand to boot! Rated 3 out of 5 by 0123 from better than nothing The washing machine is working quiet and is not leaking, but the programs are only standard, nothing special, and the 15 Minute program with little cloth is not really washing, as the cloth is sticking to the drum and not moving.